The school exceeded all KS2 targets in 2018. Attainment in 2017 was better than 2016 in all subjects and all were above national. Attainment rose again in most areas in 2018 and all attainment continues to be above national. The percentage of pupils achieving the higher standard is well above national in all subjects, including the proportion of pupils attaining greater depth in Reading, Writing and Maths combined. This represents excellent attainment, especially given that nationally attainment has risen each year from 2016. There is an upward trend of improving attainment since 2016. Although the percentage of pupils attaining GDS in Maths in 2018 was slightly lower than 2017, attainment is still significantly above national and progress from pupils’ starting points has risen from 2017 and is above national in 2018. The school’s average scaled scores in tests show that performance in tests continues to rise each year. Scaled scores are well above national. The average scaled score in Grammar, Punctuation and Spelling is higher than the score needed to attain greater depth and the scores for Reading and Maths are close to greater depth too. Progress has improved in all subjects. The percentage of pupils achieving the ‘expected standard’ for Reading, Writing and Maths combined was 79 (national 61). The percentage of pupils achieving the ‘high level of attainment’ for Reading, Writing and Maths combined was 18 (national 9). The percentage of pupils achieving the ‘expected standard’ for Reading was 84 (national 78). The percentage of pupils achieving the ‘expected standard’ for Writing was 80 (national 76). The percentage of pupils achieving the ‘expected standard’ for Maths was 89 (national 76). The percentage of pupils achieving the ‘expected standard’ for Grammar, Punctuation and Spelling was 97 (national 78). The average scaled score in Reading was 108 (national 105). The average scaled score in Maths was 108 (national 104). The average scaled score in Grammar, Punctuation and Spelling was 111 (national 106). 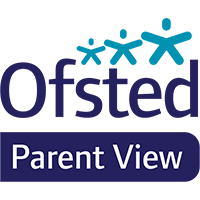 Please follow the links to see the school’s published data or to find and compare schools.